Growing up I can remember spending hours at the arcade playing video games. I will admit that I was an 80’s child and my favorites back then were Galaga and Dig Dug. When Nintendo first came out the addiction was real and I actually stayed up until 3 am playing Zelda. Video games have come a long way from when I was a kid and the graphics now often look more like a movie than a game at times. My son takes after me with his love for video games. Only now the gaming consoles of this generation are PS4 and Xbox One. If you have children, chances are you recognize those names and for a few others we still remember the classics. Although today is the release of God of War for PS4, and I’m very excited about this game because I enjoy mythology. Regardless of whether you love the classics or the newest game to release we all still love getting immersed in a virtual world to explore as we fill the role of our favorite fictional characters. 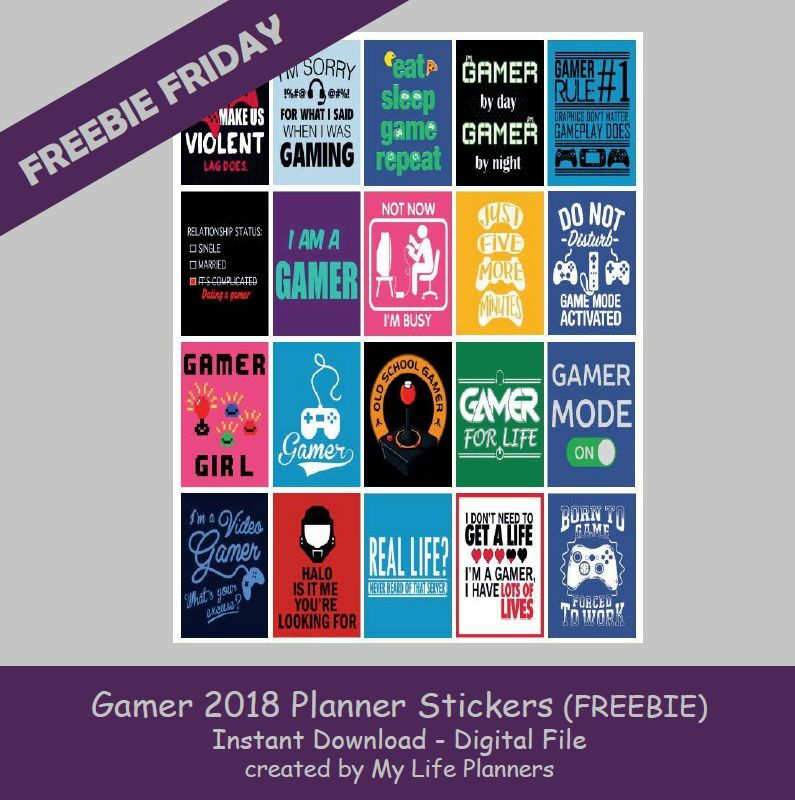 Since I have video games on the brain this week’s Freebie Friday feature is Gamer Quotes. Time to download the stickers and get your game on.